A feature-rich SIP phone for enhancing daily business processes and operations. 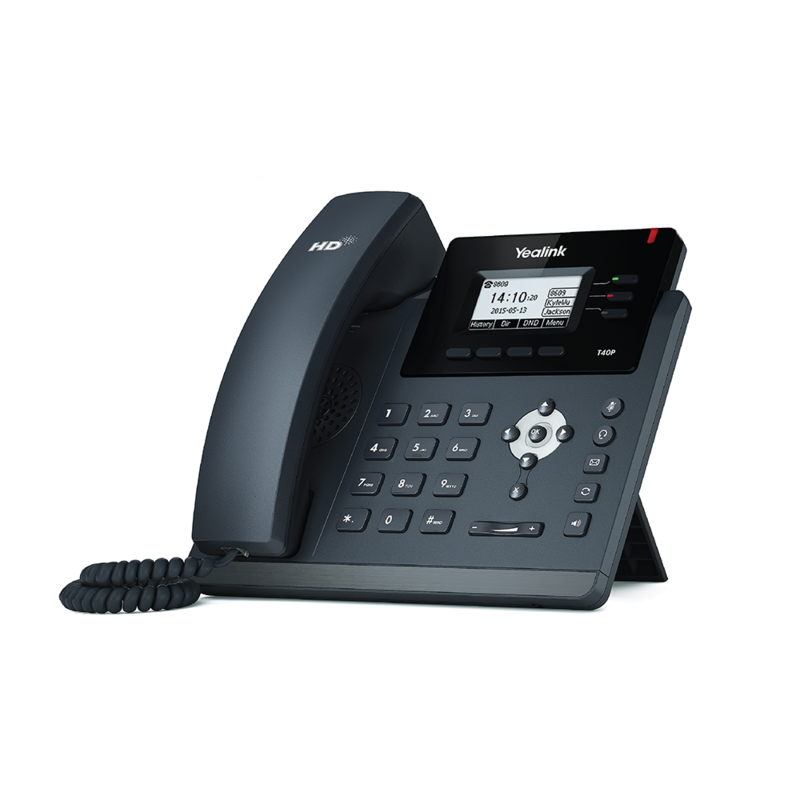 The advanced IP desktop phone is intuitively designed with ease of use in mind. With programmable keys, the SIP-T40P boasts extensive productivity-enhancing features such as Power over Ethernet (PoE) support, superb high definition (HD) sound quality and a rich visual experience. Up to 3 SIP Accounts. One-touch speed dial, call forward, call waiting, call transfer, call hold, auto answer and DND. 3 line keys with LED. 5 feature keys: message, headset, mute, redial, hands-free speakerphone. Integrated stand with two adjustable angles. Volume control on the ear-piece, speaker and ringtone.